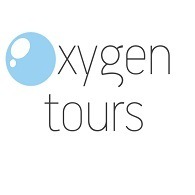 All Oxygen Tours tours, river cruises, expedition cruises, and adventure trips. Find the best guided trips and expert planned vacation and holiday packages. Average rating of 5.0 for all Oxygen Tours trips. 7-day, 10-day or 14 day walking holiday adapted to fit your schedule… possibility to combine this walking holiday with visiting other islands such as Santorini, Paros, Syros, Tinos.